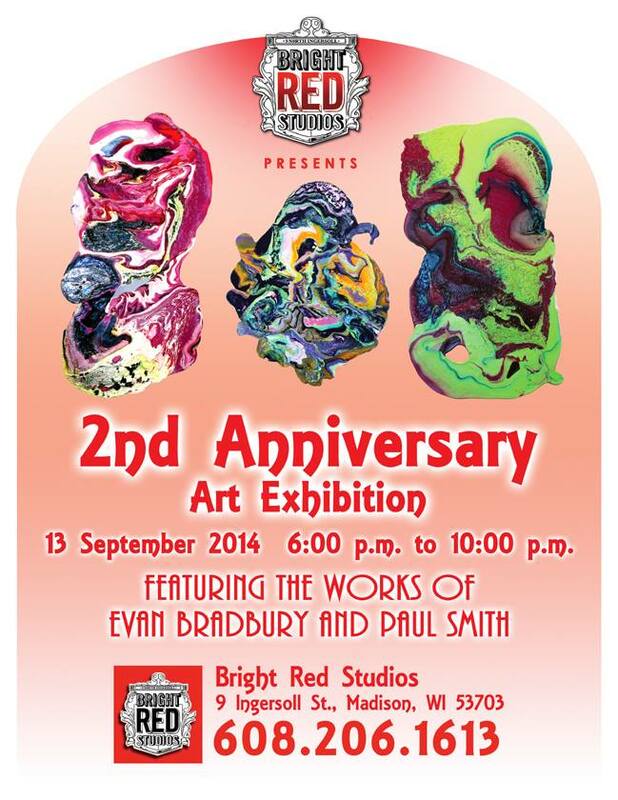 We’ve made it to the two year mark here at Bright Red Studios and are feeling pretty good about it. We’d like to invite you to a show to celebrate just that feeling. We’ll be showing works by our one of a kind figurative master and workshop leader Paul Smith and owner Evan Bradbury as well as bringing some auditory ecstasy with some surprise musical guests. The show is free and open to all, going from 6-10pm on Saturday, the 13th. Don’t miss it!